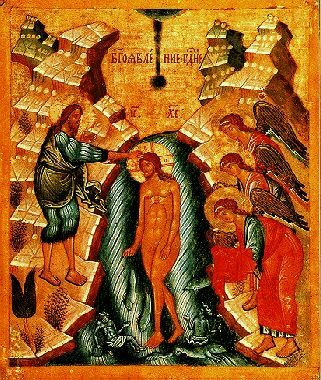 Peter, an apostle of Jesus Christ, to the strangers scattered throughout Pontus, Galatia, Cappadocia, Asia, and Bithynia, Elect according to the foreknowledge of God the Father, through sanctification of the Spirit, unto obedience and sprinkling of the blood of Jesus Christ: Grace unto you, and peace, be multiplied. Of which salvation the prophets have enquired and searched diligently, who prophesied of the grace that should come unto you: Searching what, or what manner of time the Spirit of Christ which was in them did signify, when it testified beforehand the sufferings of Christ, and the glory that should follow. Unto whom it was revealed, that not unto themselves, but unto us they did minister the things, which are now reported unto you by them that have preached the gospel unto you with the Holy Ghost sent down from heaven; which things the angels desire to look into. Wherefore also it is contained in the scripture, Behold, I lay in Sion a chief corner stone, elect, precious: and he that believeth on him shall not be confounded. Unto you therefore which believe he is precious: but unto them which be disobedient, the stone which the builders disallowed, the same is made the head of the corner, And a stone of stumbling, and a rock of offence, even to them which stumble at the word, being disobedient: whereunto also they were appointed. But ye are a chosen generation, a royal priesthood, an holy nation, a peculiar people; that ye should shew forth the praises of him who hath called you out of darkness into his marvellous light; Which in time past were not a people, but are now the people of God: which had not obtained mercy, but now have obtained mercy. And He began to speak unto them by parables. A certain man planted a vineyard, and set an hedge about it, and digged a place for the winefat, and built a tower, and let it out to husbandmen, and went into a far country. And at the season he sent to the husbandmen a servant, that he might receive from the husbandmen of the fruit of the vineyard. And they caught him, and beat him, and sent him away empty. And again he sent unto them another servant; and at him they cast stones, and wounded him in the head, and sent him away shamefully handled. And again he sent another; and him they killed, and many others; beating some, and killing some. Having yet therefore one son, his wellbeloved, he sent him also last unto them, saying, They will reverence my son. But those husbandmen said among themselves, This is the heir; come, let us kill him, and the inheritance shall be our's. And they took him, and killed him, and cast him out of the vineyard. What shall therefore the lord of the vineyard do? He will come and destroy the husbandmen, and will give the vineyard unto others. And have ye not read this scripture; The stone which the builders rejected is become the head of the corner: This was the Lord's doing, and it is marvellous in our eyes? And they sought to lay hold on Him, but feared the people: for they knew that He had spoken the parable against them: and they left Him, and went their way. O handmaid of the Word of God,/ who in preaching equaled the first-called Apostle Andrew,/ and emulated the other Apostles,/ enlightener of Iberia and reed-pipe of the Holy Spirit,/ holy Nina, pray to Christ our God to save our souls. Thy name, most radiant ascetic and wonderworker,/ all praised and great Father Kentigern Mungo,/ which means ''dear friend'',/ is godly sweetness to our wretched ears./ Thus named by thy tutor who foresaw thy missionary service/ thou wast the truest friend and pastor to the Britons of Strathclyde./ Wherefore, O Saint, befriend us in this hour of need/ that we may labour for Christ, as He wills,/ and thereby be found worthy of His great mercy. Let us sing praises to the chosen of Christ,/ Equal-to-the-Apostles and preacher of God's word,/ the bearer of good tidings who brought the people of Katralina/ to the path of life and truth,/ the disciple of the Mother of God,/ our zealous intercessor and unwearing guardian,/ the most praised Nina. Thou didst exchange thy staff with thy own dear friend and Iona's Founder,/ O great Kentigern Mungo./ Severe in thy asceticism,/ thou who didst risk thy life traveling on foot/ and who didst sing psalms at night rather than give up the body to sleep,/ didst find taking a bath to be fatal./ Pray that we, who keep festival in thy honour/ may always put the things of the spirit before the things of the body.